Losada is the recipient of the Outstanding Publication Award from the Society for Music Theory, a Third Century Faculty Research Grant, a Publications Subventions Grant from the Society for Music Theory, a Paul Sacher Foundation Grant, a University Research Council Grant, and a University Research Council Faculty Summer Fellowship for research conducted at the Sacher Foundation in Basel, Switzerland. She has delivered papers at international events including EuroMAC (Strasbourg, France, 2017), IMS (the conference of the International Musicological Society, Stavanger, Norway, 2016), KeeleMac (the conference of the Society for Music Analysis, Keele, UK, 2015), the McGill Workshop on Italian Serialism of the 1950s (Montreal, 2010), the First International Conference of the Society for Mathematics and Computation in Music (Berlin, 2007), and the Fourth Biennial International Conference on Twentieth-Century Music (University of Sussex, 2005). She has also presented her research at the annual meetings of the Society for Music Theory (Seattle, 2004; Cambridge, 2005; Los Angeles, 2006; Minneapolis, 2011; New Orleans, 2012; Charlotte, 2013; Milwaukee, 2014; Vancouver 2016), as well as many regional conferences. Ph.D., City University of New York. MM, University of Michigan, Ann Arbor, MI (Music Theory). MM, University of Michigan, Ann Arbor, MI (Music Performance). 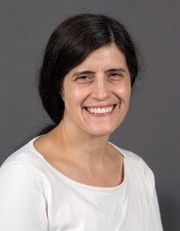 Dr. Losada will present a paper at IMS (Stavanger, Norway, 2016) as well as the annual meeting of the Society for Music Theory in November 2016, and she will be doing research on the music of Pierre Boulez at the Paul Sacher Foundation in Basel, Switzerland, thanks to a Third Century Faculty Research Grant, in the summer of 2017. Catherine Losada (2014). Complex Multiplication, Structure and Process: Harmony and Form in Boulez&apos;s Structures II. Music Theory Spectrum, 36 (1). Catherine Losada (2009). Between Modernism and Postmodernism: Strands of Continuity in Collage Compositions by Rochberg, Berio and Zimmermann. Music Theory Spectrum, 31 (1), 57. Catherine Losada, Guerino Mazzola, Florian Thalmann and Schuyler Tsuda (2009). Topos Theory for a Creative Analysis of Boulez&apos;s Structures. Quaderni di Matematica (23), 234. Catherine Losada (2008). The Process of Modulation in the Musical Collage. Music Analysis, 27 (5), 97. Catherine Losada (2008). Isography and Structure in the Music of Pierre Boulez. Journal of Mathematics and Music, 2 (3), 135. Catherine Losada (2007). K-nets and Hierarchical Structural Recursion: Further Considerations. Music Theory Online, 13 (3). Catherine Losada (2017). (In Progress). Between Freedom and Control: Composing Out, Compositional Process and Structure in the Music of Boulez. Journal of Music Theory, 61 (2). Catherine Losada (2017). (In Progress). The “Prismes” of Figures Doubles Prismes. Mitteilungen der. Catherine Losada (2013). Between Freedom and Control: Composing-Out, Common Subsets and Structure in an Open Work by Boulez Annual meeting of the Society for Music Theory, Charlotte, NC. Catherine Losada (2012). Complex Multiplication, Structure and Process: Harmony and Form in Boulez&apos;s Structures II Annual meeting of the Society for Music Theory, New Orleans, LA. Catherine Losada (2011). Transformational Networks as Representations of Systematic Intervallic Interactions in Berio&apos;s Sinfonia Annual meeting of the Society for Music Theory, Minneapolis, MN. Catherine Losada (2011). Transformational Networks as Representations of Systematic Intervallic Interactions in Berio&apos;s Sinfonia Annual meeting of the Music Theory Society of New York State, Buffalo, NY. Catherine Losada Simplifying Complex Multiplication. Catherine Losada Between Modernism and Postmodernism: A Strand of Continuity. Catherine Losada The Process of Modulation in the Musical Collage. Catherine Losada (2016). Middleground Structure in the Cadenza to Boulez&apos;s Éclat Joint Meeting of the Society for Music Theory and the American Musicological Society; Music Theory Midwest. Catherine Losada (2015). Pierre Boulez and the Aesthetics of Proliferation KeeleMac, Keele, England. Catherine Losada (2014). Pierre Boulez and the Aesthetics of Proliferation Annual meeting of the Society for Music Theory, Milwaukee, WI. Catherine Losada (2017). Stravinsky and Boulez: Compositional Process, Form and Development 9th European Music Analysis Conference (EuroMAC), Strasbourg, France. Catherine Losada (2016). The Musical Sketch as Artifact Conference of the International Musicological Society (IMS), Stavanger, Norway. (04-13-2010). Transformational Networks as Representations of Systematic Intervallic Interactions in Berio¹s Sinfonia. Montreal, Quebec, Canada. (01-30-2008). Isography and Structure in the Music of Pierre Boulez. Philadelphia, PA.
(03-09-2007). Musical Structure and its Relationship to Compositional Process in the late 20th Century. Rutgers University. (01-30-2007). Simplifying Complex Multiplication. London, Ontario, Canada. Chromatic Saturation and the Significant Gap as Unifying Devices in the Musical Collage..
Research Grant, Paul Sacher Foundation, 2010 to 2012. URC Faculty Summer Research Fellowship, University of Cincinnati College-Conservatory of Music, 2008. Faculty Development Awards, University of Cincinnati College-Conservatory of Music, 2005 to 2007. URC Research Grant, University of Cincinnati College-Conservatory of Music, 2005. For research conducted at the Paul Sacher Foundation in Basel, Switzerland. SMT Minority Travel Grant, Society for Music Theory, 2004. For paper presentation at the SMT conference. Herbert Colvin Award for outstanding student paper, Texas Society for Music Theory, 2003. Third Century Faculty Research Grant, 05-2017. Publication Subvention Grant from the Society for Music Theory, 2014. Outstanding Publication Award, Society for Music Theory, 2016.